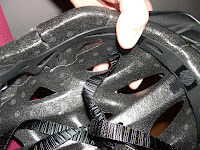 For years I've had a firm belief that wearing a bike helmet causes accidents. 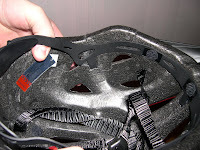 Within 3 weeks of the purchase of my bike helmet, I was cycling home and my helmet decided to take a death dive over my handle bars (when I was doing about 30km/h). Of course, since it was strapped to my head, I had to follow. Since my bike was attached to my feet (you know, that stupid bloody cleat/peddles) it also had to follow. I was left lying on my laptop, helmet on the grount and bike on me. Thankfully, I'd had a few drinks and didn't feel anything until a few hours later. A quick trip to the hospital a few days of a really stiff neck and I'm fine.